Wildlife and hunting advocacy groups are protesting legislation that they say will reduce public input on wildlife management decisions in Montana. When the state makes decisions related to fish and wildlife -- social science, people’s attitudes, opinions or preferences shouldn’t be a part of the decision making process. House Bill 161 would allow Montana Fish, Wildlife and Parks to only use facts and science when making decisions about fish and wildlife management. Getting rid of those considerations is the proposal of House Bill 161, carried by Republican House Majority Leader Brad Tschida, from Missoula. He says the bill is designed to make Montana Fish, Wildlife and Parks focus on wildlife science when making decisions. The bill says, with a few exceptions, FWP may only use facts and science when making decisions about fish and wildlife management. Rep. Tschdia says this will not prevent anyone from expressing their opinions about wildlife management to FWP and to say otherwise is disingenuous. However, dozens of people objected to the bill for that very reason during its first hearing Tuesday afternoon. Much of the testimony was similar to that of Steve Platt, with Montana Backcountry Hunters and Anglers. Some said that regardless of what the science says about the best way to manage wildlife, people are going to have to share the landscape with the animals. 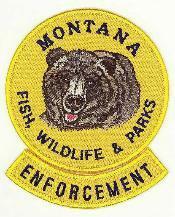 Montana Fish, Wildlife and Parks is also opposing the bill. The department told lawmakers that biological facts and science are important, but fish and wildlife are managed for the benefit of people so social science also needs to guide decisions. The House committee reviewing the legislation did not take an immediate vote on the bill. BILLINGS, Mont. (AP) — Wildlife advocates on Tuesday urged Montana officials to ban trapping along much of the state's border with Idaho to protect an isolated population of cat-sized predators living in old-growth forests. Montana Fish, Wildlife and Parks is accepting public comment on a proposed management plan for wildlife habitat along the north shore of Flathead Lake south of Kalispell. This would be the first management plan for the agency’s 400 acre North Shore Wildlife Management Area, which serves as a migratory stopover point for some 200 bird species. The agency acquired the land in three phases between 2008 and 2016. Below the peaks of the Madison Range, south of Ennis, a herd of more than a dozen bighorn sheep are grazing among snow-covered sagebrush. It’s around freezing. The animals, with their iconic curled horns, look healthy, but Garrett Long, with the Wild Sheep Foundation, tells me that restoring the animal’s population in the West is a big challenge.